Data center outsourcing is really a multiyear, annuity contract or relationship concerning the day-to-day management accountability for operating server as well as host platforms, such as distributed servers and storage. Services include any mixture of professional services and product support, as they correspond with the ongoing supervision of computing and storage resources. 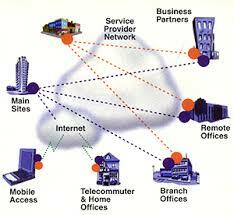 Data center outsourcing is an issue that has grown in popularity for several reasons. Many see that maintaining a files center in-house just isn’t something they can perform. They might not be able to do it because of dollars reasons or due to manpower reasons.